Libcom.org's guide to reading around the subject of work and wage labour in capitalist society, and struggles against them. Work - an introduction - libcom.org's, clear, short introduction to work, what is wrong with it, and what we can do about it. Work and the free society - Anarchist Federation - A more detailed pamphlet from the AF analysing work in capitalist society, explaining its history and suggesting how work could be organised in a free society. Useful work versus useless toil - William Morris - The British libertarian socialist artist writes on the difference between socially useful work and useless work only necessary under capitalism. A ballad against work - Kamunist Kranti - A pamphlet about and against work from an Indian libertarian communist group. Wages against housework - Silvia Federici - Autonomist Marxist feminist Silvia Federici on wages and housework. Women, the unions and work, or… what is not to be done - Selma James - Excellent critique of the structural position of unions, work, and unwaged labour from a feminist perspective. By Selma James (1972). The problem with work: feminism, marxism, antiwork politics and postwork imaginaries - Kathi Weeks - In this book, Weeks challenges the presupposition that work is inherently a social and political good. While progressive political movements, including the Marxist and feminist movements, have fought for equal pay, better work conditions, and the recognition of unpaid work as a valued form of labor, even they have tended to accept work as a naturalized or inevitable activity. Weeks argues that in taking work as a given, we have “depoliticized” it, or removed it from the realm of political critique. Workplace organising guide - libcom.org's guide to organising in your workplace. Faceless resistance: everyday resistance at a Swedish bakery - Tales of work and struggle at a large bakery facing closure. An account of setting up workplace assemblies - A ceramics worker recounts how workers at his plant won the right to hold meetings in work time. Workplace activity - libcom.org's archive of accounts of people organising in the workplace. Office worker's survival guide - Steven Johns - Helpful guide with suggestions on how to navigate the workplace hazards of stress, repetitive strain injury (RSI) and mindnumbing boredom to a happy work life, and perhaps a slightly better world. The right to be lazy - Paul Lafargue - In this text, Lafargue argues for the working class's right to be lazy, and says that productivity is the bosses' problem, not ours. In praise of idleness - Bertrand Russell - The Nobel prize-winning writer and socialist on why more of us should be lazier. Sabotage - libcom.org's archive of tales of shirking, sabotage and rebellion. The American worker - Paul Romano - An excellent piece describing the working life of a US auto worker. Working: people talk about what they do all day and how they feel about what they do - Studs Terkel - Landmark work by Studs Terkel speaking to people working in a multitude of jobs and their feelings on them. My first job: what was yours? 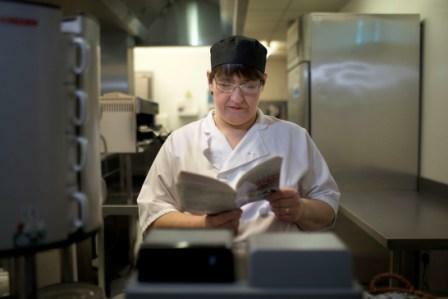 - Siobhan Breathnach - Excellent account of working in the food industry, with dozens of comments by libcom.org users talking about their first jobs. Shirking 9 to 5: diary of a reluctant temp - Steven Johns - An agency worker recalls several years' temping in London, trying to help his co-workers and do as little work as possible. ‘Bout to explode: a day in the life of a precarious worker - Juan Conatz - Interesting first-person account of a day in the work life of a sleep deprived day laborer. What's it like to work at McDonalds? - McDonalds Workers' Resistance - Short article on what it's like to be a McDonalds employee. Workers' report: general conditions and the conditions for generalisation at Hackney Street Cleansing Department - A report about working life in refuse collection, recycling and street cleaning department of Hackney Council, including conflicts and co-operation in the workforce. A “zero-hours” contract… for thousands and thousands of hours - Jack Staunton - A call centre worker writes on his work compiling government market research surveys. Origins of the job structure in the steel industry - Katherine Stone - This text analyses how workers' control in the US steel industry in the 19th century was broken up by the employers using Taylorist management techniques, leading to the job structure which remains in place today. Proletarian management and informal workplace organisation - Kampa Tillsammans - Interesting article about informal workplace organising, management tactics and suggestions for workers to build power on the job. The stopwatch and the wooden shoe: Scientific management and the Industrial Workers of the World - Mike Davis - Mike Davis on the introduction of Taylorist management techniques to break up workers solidarity, and the response of the revolutionary Industrial Workers of the World union. Factotum would make a good addition also. Just to be self-indulgent for a moment, you can also find lots of anti-work material at my site: AbolishWork.com.